Current is the rate at which electric charge flows past a point in a circuit. Voltage is the electrical force that would drive an electric current between two points. Current is the rate at which electric charge flows past a point in a circuit. In other words, current is the rate of flow of electric charge. Voltage, also called electromotive force, is the potential difference in charge between two points in an electrical field. In other words, voltage is the "energy per unit charge”. Current is the effect (voltage being the cause). Current cannot flow without Voltage. Voltage is the cause and current is its effect. Voltage can exist without current. 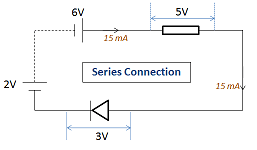 Current is the same through all components connected in series. Voltage gets distributed over components connected in series. Current gets distributed over components connected in parallel. Voltages are the same across all components connected in parallel. Current and voltage are two fundamental quantities in electricity. Voltage is the cause and current is the effect. The voltage between two points is equal to the electrical potential difference between those points. It is actually the electromotive force (emf), responsible for the movement of electrons (electric current) through a circuit. A flow of electrons forced into motion by voltage is current. Voltage represents the potential for each Coulomb of electric charge to do work. 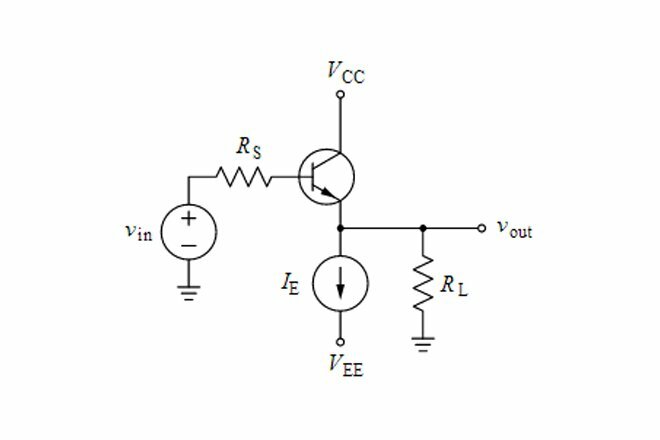 An electric circuit with a voltage source (e.g. a battery) and a resistor. A voltage source has two points that have a difference in electrical potential. When there is a closed loop path between these two points, it is called a circuit and current can flow. 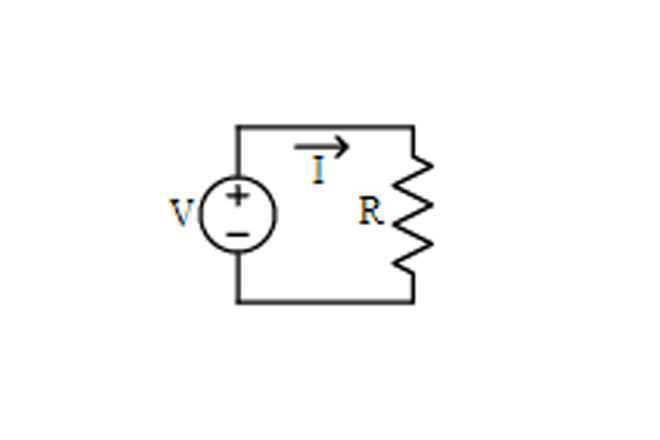 In the absence of a circuit, current will not flow even if there is voltage. An uppercase italic letter I symbolizes current. The standard unit is Ampere (or Amps), symbolized by A. The SI unit for current is Coulomb/second. 1 ampere = 1 coulomb/second. One ampere of current represents one coulomb of electrical charge (6.24 x 1018 charge carriers) moving past a specific point in the circuit in one second. The device used to measure current is called an Ammeter. An uppercase italic letter V symbolizes voltage. One volt will drive one coulomb (6.24 x 1018) charge carriers, such as electrons, through a resistance of one ohm in one second. The Voltmeter is used to measure voltage. An electric current always produces a magnetic field. The stronger the current, the more intense is the magnetic field. A voltage produces an electrostatic field. As the voltage increases between two points the electrostatic field becomes more intense. As the distance increases between two points having a given voltage with respect to each other, the electrostatic intensity decreases between the points. Voltages add up for components connected in series. Currents are the same through all components connected in series. For example if a 2V battery and a 6V battery are connected to a resistor and LED in series, the current through all the components would be same (say, 15mA) but the voltages will be different (5V across the resistor and the 3V across the LED). These voltages add up to the battery voltage: 2V + 6V = 5V + 3V. Currents add up for components connected in parallel. Voltages are the same through all components connected in parallel. For example if the same batteries are connected to a resistor and LED in parallel, the voltage through the components would be the same (8V). However, the 40mA current through the battery is distributed over the two paths in the circuit and get broken down to 15mA and 25mA. Voltage depend upon the distance between the piont of charge and current dose not depend.